By Sarah Ford in the Denver VOICE. Please purchase the Denver VOICE from vendors when you meet them on the street. Each issue is packed with excellent content. It’s been three months since the City banned camping, sleeping and resting in public and private places in the city and county of Denver. In this time, the effects of the camping ban, which took effect on May 29, have begun to come to light. According to Melissa McKewen, spokesperson for the Salvation Army, many shelters find themselves working at full capacity on a nightly basis, and these conditions have led the City to seek options to open more shelters before winter. From the St. Francis Center. 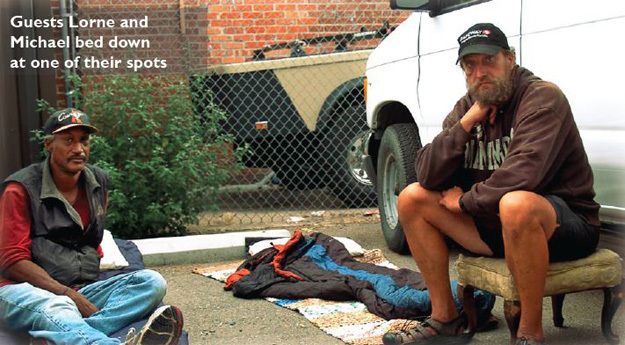 A ban on unauthorized camping, approved by Denver city council in May and going into effect on June 4, has definitely impacted the lives of many St. Francis Center guests, and not for the better. The law prohibits individuals from sleeping or sitting in any type of makeshift “shelter” with the intention of “dwelling” there.